Adding a language to your SugarCRM CE is maybe the first thing you would like to do when you are configuring the application especially when your company is international or your employees are not native English speakers. In the next few lines of this tutorial we will show you how precisely you should do that. Most of the SugarCRM CE resources are provided free of charge and in order to get a language you will need to access the official GiHub Repository of SugarCRM. There you will be able to find few language packs which you can download. For the purpose of this tutorial we will use the Italian language pack provided free of charge. Adding a language requires from you to use the native SugarCRM CE Module Loader. This feature is implemented by default in the application and in order to access it you will need to login with the admin user. Then you will need to access the Admin section and from there you will need to find the “Module Loader” under the “Developer Tools” section. There you will see the interface of the Module Loader which consist of two sections of modules. The first one is for the modules already added to your SugarCRM CE installation and the second one is for the modules which are uploaded but not activated. In order to upload the language pack you will need to use the upload form located between both of these sections. 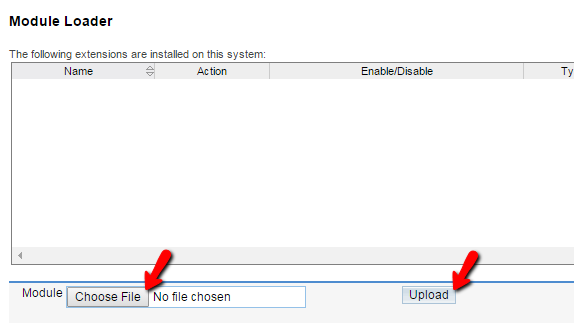 Once you point the module installation archive from your local computer you will need to click on the upload button and once the module is uploaded it will be displayed in the second section of uninstalled modules. By clicking on the Install button you will be able to install the uploaded language right after confirming the installation in the next screen called Ready to Install. 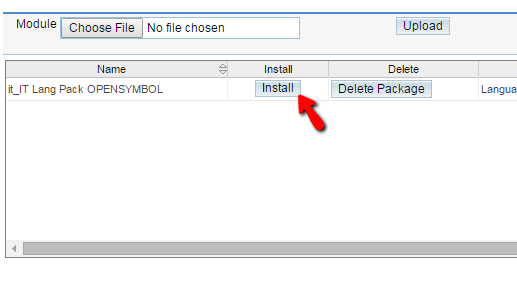 Upon successful installation you will receive a confirmation that the language pack was installed successfully and you will be able to get back to the Module Loader page. Congratulations! You have successfully added a new language on your SugarCRM CE based website!